A mourner pays his respects at a Jewish cemetery. 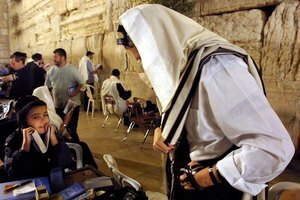 There is some conflicting belief about the Jewish soul, or spirit, lingering for three days after death. While some believe it is three to seven days, it may be that the soul is restless for 12 months. These beliefs are attributed to the ancient wisdom contained in the Kabbalah. Kabbalah, which translated means "that which is received," is a Jewish study based on mysticism that has been passed down among mystics and rabbis for centuries. 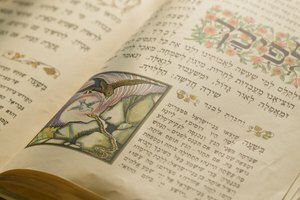 Aside from the Jewish books of learning, the Torah and the Talmud, much of Judaism has been passed down through oral tradition, as is the case with the Kabbalah. The Zohar, which is one of the texts that make up the Kabbalah, is composed of the teachings of Rabbi Shimon Bar Yochai, who was a second-century Talmudic mystic. After being passed along by oral tradition for centuries, the Zohar was finally published in the late 13th century. 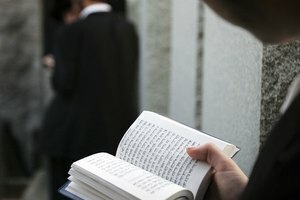 The belief that the soul lingers for three days after death seems to have emanated from the texts that make up the Kabbalah, notably the Zohar. 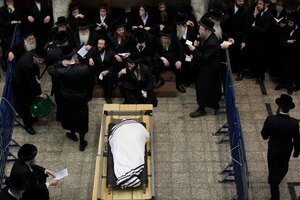 Jews believe that a person must be buried immediately after death, preferably the same day but no more than three days later. Embalming and cremation are prohibited by Jewish law. 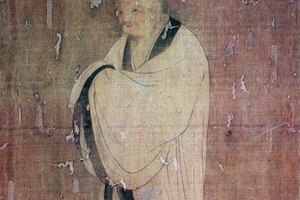 These practices are considered a violation of the body that encased the soul. The Chevra Kaddisha (sacred burial society) prepares the deceased for burial by washing the body from head to toe with warm water, and then wrapping it in a plain white shroud. Someone will then sit with the body, reciting psalms. The body is never left alone from time of death until burial. Jewish law dictates the body is to be buried in a simple pine box. The Kaddish prayer is said by the family at the burial. After the burial, the deceased's family and friends will sit shiva (in mourning) for seven days, during which all mirrors in the house are covered. The Kabbalists speak of Hibbut Ha-Kever, a three to seven-day process of separating the nefesh portion of the soul from the body. The Zohar states: “For seven days the nefesh goes to and from his house to his grave from his grave to his house, mourning for the body…and it grieves to behold the sadness in the house.” This is the reason for immediate burial of the deceased. Jewish folklore suggests that the soul will become confused and linger around the body for those three to seven days. The body must be laid to rest, so the soul can move on and find peace in the afterlife. In his book "Jewish Views of the Afterlife," Simcha Paull Raphael says: "Immediately following death, there is a period known as Hibbut Ha Kever, pangs of the grave. During this period, the soul is confused, lingers around the body and tries to go back to his home to be with his loved ones. After this, there is a maximum period of 12 months in Gehenna, which is a realm described as fiery, where the soul is purified of its sins." After the twelve-month period, it is believed the soul rests permanently in the afterlife. 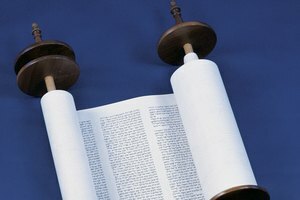 How Do Jews Show Respect for the Torah? Dexter, Hollye. "Jewish Belief That the Spirit Lingers for Three Days." 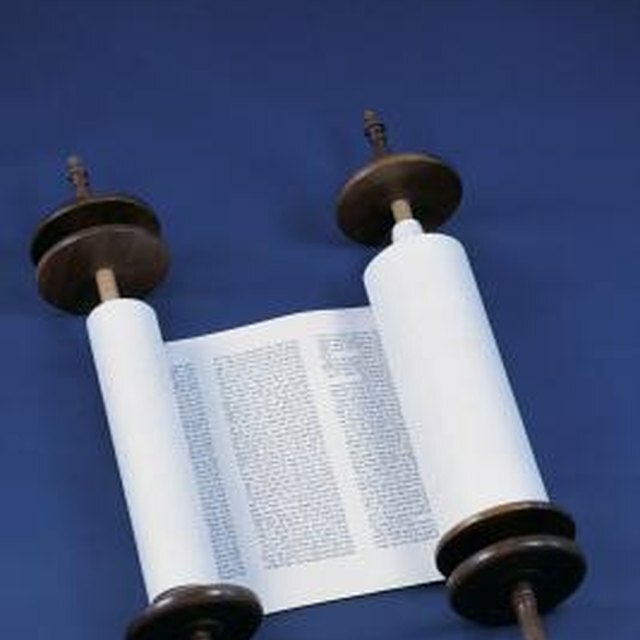 Synonym, https://classroom.synonym.com/jewish-belief-that-the-spirit-lingers-for-three-days-12087774.html. 29 September 2017.